"Best Thing I Ate Last Week" is still playing some catch-up from our winter break trek through Memphis, Nashville and Louisville, but we're getting there. New Year's Eve 2015 found us in Nashville, and as I was booking reservations for the trip I was pretty happy to find a spot open at Husk. We'd visited Chef Sean Brock's original incarnation of Husk in Charleston, South Carolina almost exactly three years ago (pictures here), and I was excited to try the Nashville version. Holidays menus at restaurants are usually a bummer and I typically avoid them; but at Husk they did it up right. 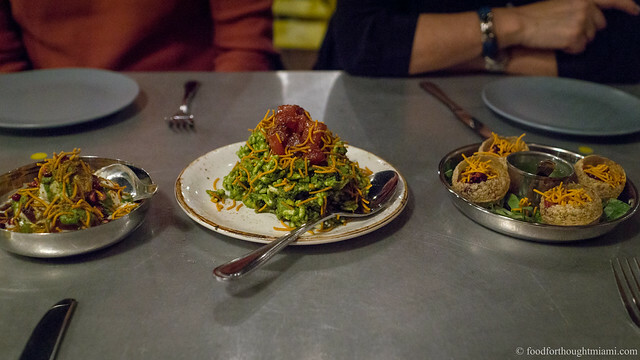 The three-course menu offered several choices for each, which were not that far afield from the typical restaurant experience. 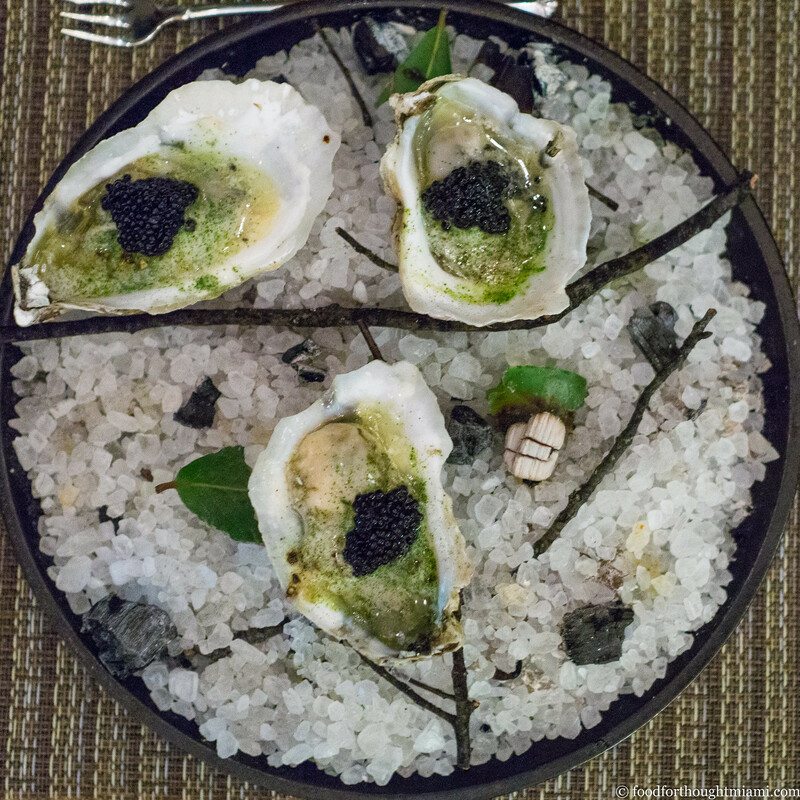 Out of several really good dishes, my favorite were these roasted Rappahannock oysters, swimming in an herbaceous bone marrow butter, and topped with spoonfuls of Tennessee hackleback caviar. A great way to close out 2015. (You can see all the pictures in this Husk - Nashville NYE flickr set). Runners-up: slices of Benton's ham brushed with coffee vinegar, and a version of shrimp and grits, both from the same meal at Husk; the Tennessee tonkotsu ramen at Otaku Ramen in Nashville; the fantastic roasted marrow bones with XO butter and kim chi at Louisville's Proof on Main.